Hopper wading boots are very light in weight and remind you more of the hiking shoes. They are made out of strong nylon material and re-enforced with rubber bumper. The shoe opens up wide so it is very easy to put on and the nylon lace loops hold the laces while you tighten them up. 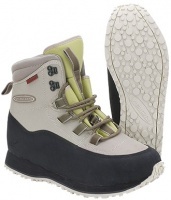 High design with neoprene cushioning maximizes the comfort and support. 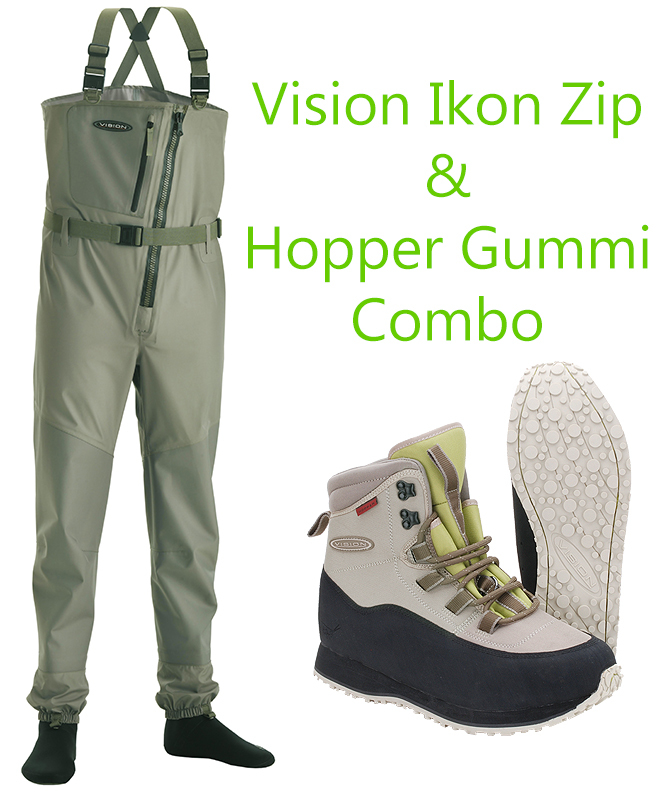 For year 2016 we’ll introduce new improved Hopper wading boots with our revolutionary Gummi rubber soles. This is a combination which has been asked from us again and again. We raised one-piece rubber bumper around the shoe and the Gummi sole with raised front is stitched through to secure it.